Performance horses, the developing foal and senior horses are all at a higher risk of joint injuries and issues occurring. Care for joints is vital for horses to achieve their athletic potential and for seniors it can allow them to stay pain free for many years. So how can equine joint health be affected by what we feed our horses? A joint is classified as an area where two bones meet. The ends of each bone are coated in articular cartilage allowing them to move over each other. Joints are protected by a fluid filled sac known as the joint capsule. This nutrient rich fluid called synovial fluid, absorbs some shock from high impact work. Synovial fluid nourishes the articular cartilage with proteins, enzymes and sodium hyluronate, a glycosaminoglycan (GAG), a vital structural component of the joint cartilage. Damage to joints or surrounding limb structures can occur by simple knocks or more seriously from repetitive strain or impact. These cases can lead to degeneration of the joint cartilage and bone damage caused by bones grinding against each other. The bone will lay down more bone tissues, known as bone spurs, however these result in further damage to the joint causing inhibition and pain. Incorrect nutrition can result in detrimental effects to our growing foals, too much or too little can negatively impact their bone formation and overall confirmation. It is important to consider the diet of not only the new born foal but also the mare during gestation and lactation, ultimately these factors will correlate to how the foal grows. “Sound, Steady Growth”, that’s the key to optimal foal development, using commercial feeds designed for breeding stock will give a good foundation to a correct diet. As our horses get older they become stiffer, some may suffer from dental problems with missing or worn teeth. The Bluegrass Turmash has been designed with the senior horse in mind, the mash means that even horses’ with dental problems, can still ingest it, the addition of flaxseed provides natural omega-3 and 6 fatty acids in order to aid the reduction of inflammation and encourage overall joint health. How can nutrition impact joint health? Additional joint specific oral supplements can be added to our horses’ diets, they generally contain ingredients such as glucosamine or chondroitin. Their main aim is to reduce inflammation, reduce cartilage damage and to stimulate cartilage repair. Supplements can be expensive; however, some are effective if they are absorbed correctly and the body is capable to repairing the damaged tissue. 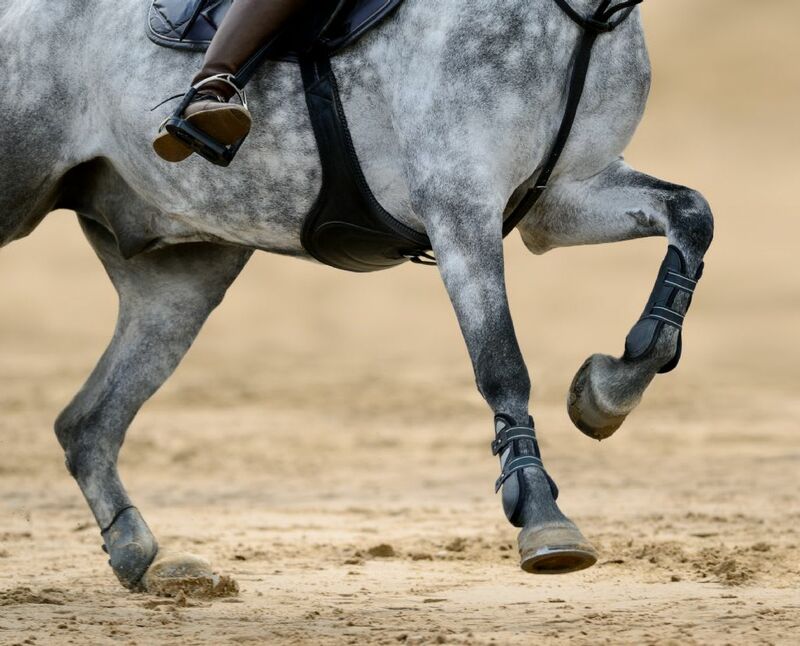 In terms of nutritional components of your horses feed, there are a few elements that will have an impact on the overall care and aid repair of joints. Trace Minerals: Zinc is essential for the hydrolysis and cross-linking needed for collagen formation. Copper is required for the formation of disulphide bonds in collagen, needed for strength and elasticity. Manganese is a cofactor in GAG and Hyaluronic acid (HA) synthesis and in cartilage repair and maintenance. Vitamin C is an antioxidant important during recovery. Inflammation results in higher levels of free radicals which can damage collagen. Fatty Acids- Recent studies on humans has shown benefits of omega-3 fatty acids EPA and DHA on inflammation. The supplementation of EPA and DHA in fish oil reduced inflammation indicators in the joints of yearlings and older horses with arthritis. Most commercial feeds will contain optimal levels of nutrients to provide a balanced diet, using a feed specific for the performance horse will ensure that higher levels of essential nutrients for recovery and repair are available, i.e Bluegrass Hi-Performance Mix. Increasing the oil content specifically high in omega-3 fatty acids is any easy addition to the diet to promote joint health. Bluegrass Flax Plus balancer is high in omega-3 and 6, as it is fortified in flaxseed. This balancer can be fed alone or as a “top dressing” on a feed, an example would be to add Bluegrass Flax Plus onto of Horse and Pony mix or Competition mix. During the recovery of an injury it is important that the key vitamins and minerals are provided within the diet to promote the immune system and repair. Bluegrass Horse Feeds have specifically designed feeds to suit the needs of these horses, i.e Bluegrass Re-Leve and Bluegrass Stamm 30.